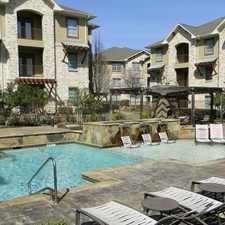 This apartment is in Grand Prairie. The closest park is Wilemon Stadium. 3099 Parham Dr. has a Walk Score of 36 out of 100. This location is a Car-Dependent neighborhood so most errands require a car. 3101 Parham Dr. 121 Available 06/01/19 2 bedroom 2 bath first floor - Windscape is centrally located in the Dallas - Fort Worth - Arlington metropolitan area, making it convenient for shopping, dining, entertainment and business. Windscape offers upgraded apartments with washer/dryer connections, large green spaces, a multi-level pool with waterfall, fitness center, and much more! Prices & Availability subject to change without notice. Pictures may not be representative of actual apartment. Explore how far you can travel by car, bus, bike and foot from 3099 Parham Dr..
3099 Parham Dr. is in the city of Grand Prairie, TX. Grand Prairie has an average Walk Score of 32 and has 175,396 residents.